Due to the shoe styling we suggest ordering down a half size. For example, if you normally wear an 8, we suggest ordering an 7-1/2. 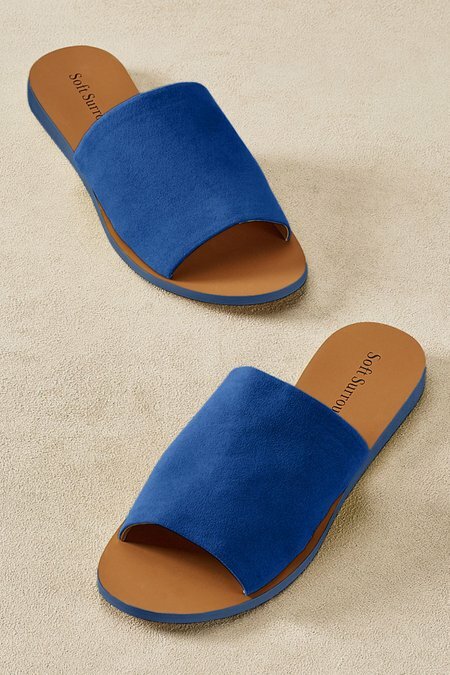 These soft microsuede slides with their sleek profile and wearable wedge feel so good and look so right. Synthetic lining and rubber sole ensure comfort. 3/4" heel.